Catholic liturgical music has been, of course, a part of the choral tradition in Southern Europe for over a thousand years with the renaissance period being a particularly creative time for choral singing. Palestrina, Monteverdi, Rossini, Morales, de Victoria and many others are an essential part of the history of choral music. Based on melody No. 202 in Kurt Schindler's collection: "Folk Music and Poetry of Spain and Portugal." The chorus is to be divided into two groups: The main choral body, and a conrasting smaller "Solo group" of approximately 3 or 4 voices to a part. A selection of classic Italian madrigals, mostly a cappella and all with English lyrics. 10 more love songs as only Il Divo could sing them, complete with vocal harmonies transcribed. The beautiful choral writing of Javier Busto speaks to the heart. His "Ave Maria" is one of the great works, which permits a choir to perform to the fullest, emotionally as well as technically. A fine choice for a festival program. 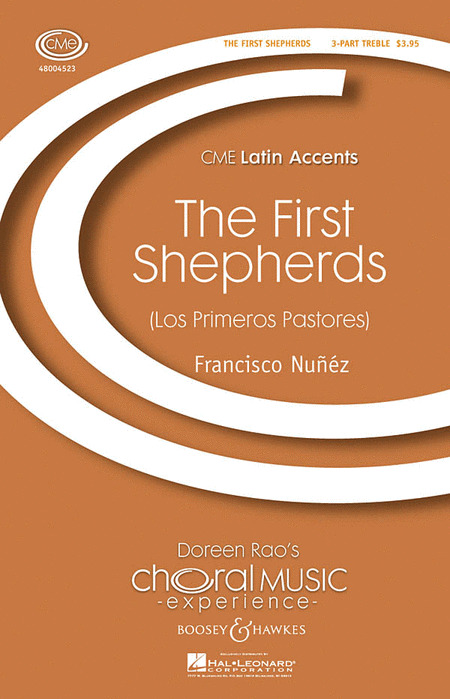 Composed for the Tapiola Choir, the theme for "For The Peace", describes in its three sections how provocation and violence are turned into understanding and peace.The Lord Is My Shepherd is an equally brilliant setting of the 23rd Psalm. Magnificat is perfect for your Children's Choir Christmas program! The popular latin text 'Laudate Dominum,' is brought to life in Javier Busto's brilliant setting. The graceful setting of 'Salve Regina' highlights the beauty of the female voice. For ambitious choirs, it would be an excellent concert or competition choice. The beautiful setting of 'Pupule Meus' will be enjoyed equally by the singers and audience alike! Two Lorca Songs are based on the first major work "Poema del Cante Jondo" (Poem of the Deep Song) of the famous Spanish poet Garcia Lorca. Las Seis Cuerdas was inspired by the poem's haunting melancholy. Sopranos and altos sing falling, weeping lines while underneath basses and tenors have wide guitar-like intervals. 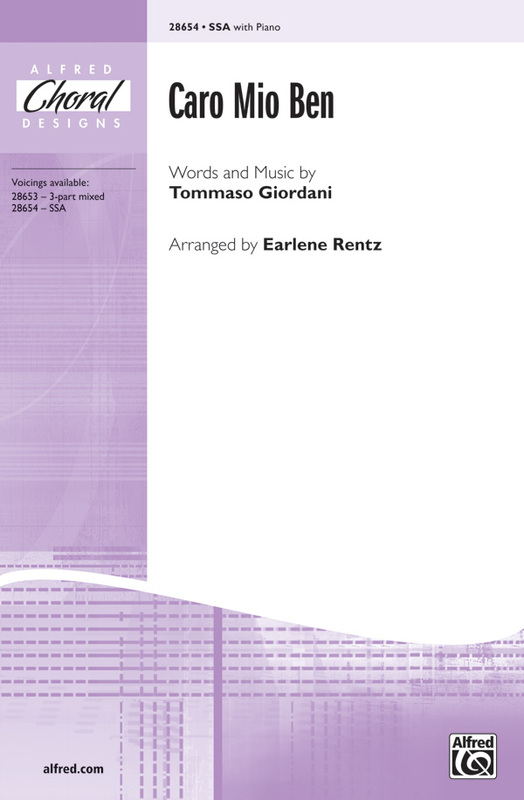 Crotalo, written for choral competition, is meant to display choral virtuosity. It is set as a flamenco: the percussive c's and t's from the repeated word "crotalo" make a rhythmical clicking like that of castanets. These songs were originally composed with texts in Catalan. They were written for a concert that celebrated ten years of the Centre d'Art I Natura at Ferrerra de Pallars in Catalunya. These English versions of the traditional Catalan texts maybe sung in any selection or order, or used as individual songs. 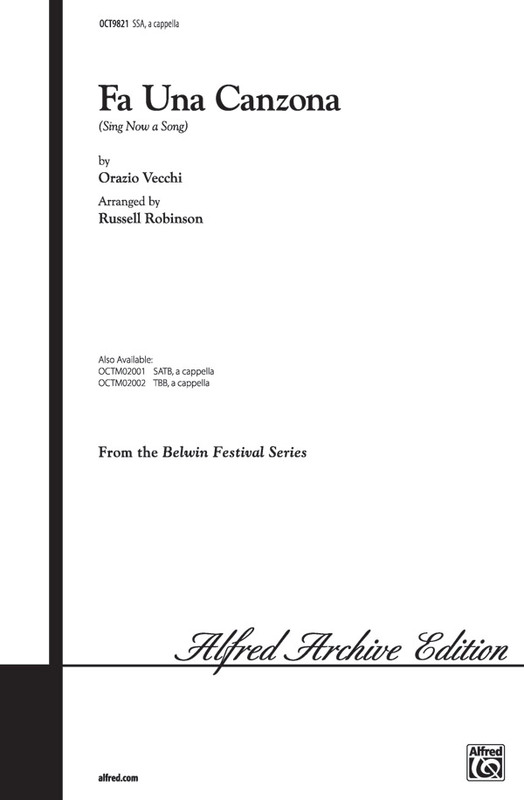 Now available for the first time in a single publication, these are the popular editions of three Renaissance works Noah Greenberg prepared for New York Pro Musica. Perform them as a set or individually. Orlando di Lasso was a Franco-Flemish composer of the late Renaissance known for his mature polyphonic style. Equally adept in many languages and both sacred and secular forms, his compositions remain a staple of the modern choral repertoire. This collection of Italian madrigals includes five representative works and is an excellent value! 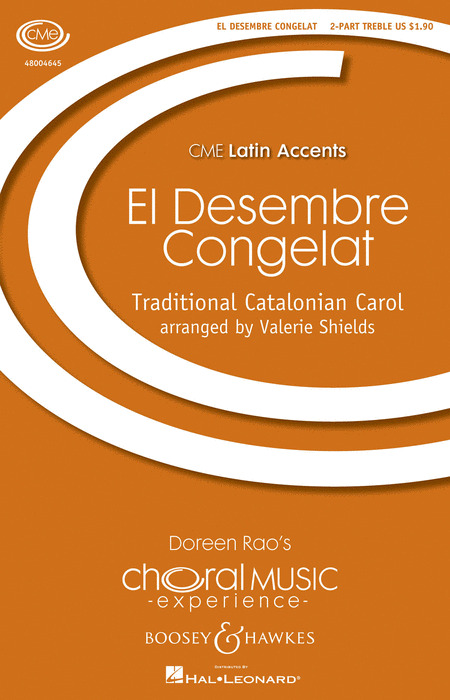 A fine collection of unaccompanied Spanish Christmas carols with both English and Spanish text along with a pronunciation guide. The Emily Crocker arrangements, as always, are delightful and are most rewarding in performance. The King's Singers arrangements of three traditional carols are a special treat and the Norman Luboff arrangement of "A La Nanita Nana" is from his Holiday hit album "Songs of Christmas". Rounding out the collection are three arrangements of sixteenth century carols from the New York Pro Musica series. During the eighty years from approx. 1535 many thousands of Italian madrigals were composed. Here are 55 for mixed voices covering the whole range of types,and the whole period. All have been chosen for their musical value - they are small masterpieces. Spanish and English texts. 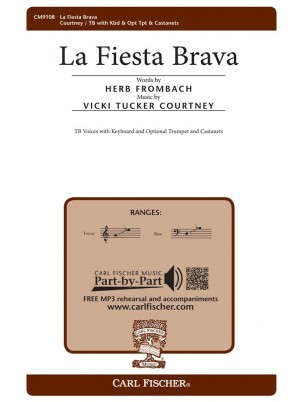 Available: SATB a cappella, SSA accompanied, TTBB a cappella. 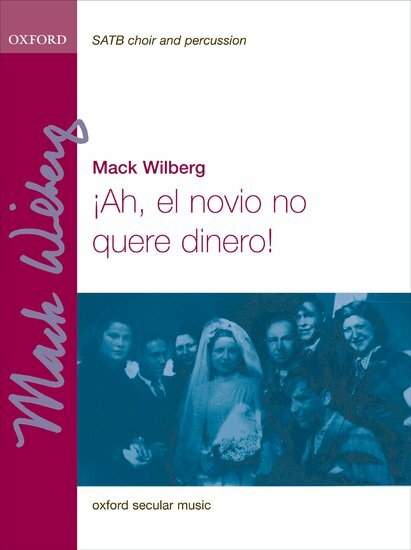 Mack Wilberg : Ah, el novio no quere dinero! This Sephardic wedding song, with rhythmic variety and lively melody, calls to mind gypsies and the Romantic Moorish flavour of Spain. It has a folk-like feel with drums, percussion, and hand-clapping adding to the flamenco flavour. The first line translates as 'Oh, the bridegroom wants no money'. This delightful Italian madrigal will be a charming addition to any concert with imitative vocal phrases alternating with homophonic sections and culminating in a dancelike ton dari don ton ton refrain. Duration: ca. 1:20. Three traditional Spanish carols from a variety of cultures are creatively combined in this setting. Perform it in Spanish, English, or a combination of both. Songs include: De Tierra Lejana Venimos (Puerto Rico); Oi Betlehem (Biscaya); Fum, Fum, Fum (Spain). Optional percussion. Available: 2-Part, 3-Part Mixed. Performance Time: 3:20. "Cantar!" is a stylistically authentic salsa work for choir. The text is a combination of English and simple, repetitive Spanish phrases set to a rhythmically infectious melody. Enjoy this #1 seller! Sizzling! "¡Cantar!" is a stylistically authentic salsa work for choir. The text is a combination of English and simple, repetitive Spanish phrases set to a rhythmically infectious melody. 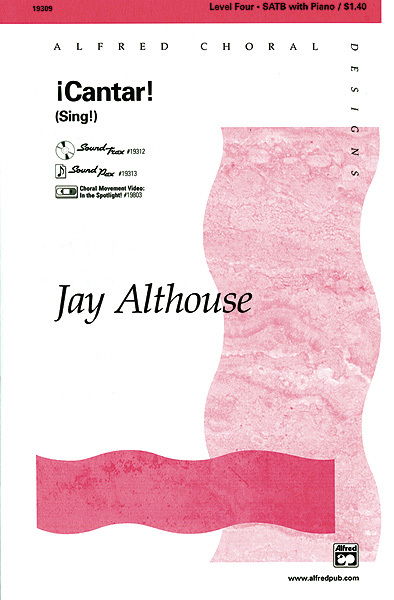 Enjoy this new SSA voicing of Jayis #1 seller! Sizzling! 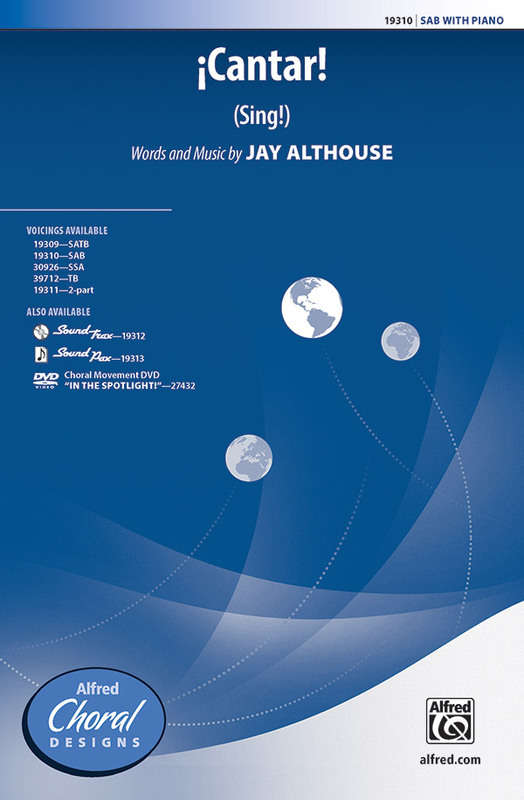 This long-time favorite of voice teachers is now available for 3-part mixed and SSA choirs. 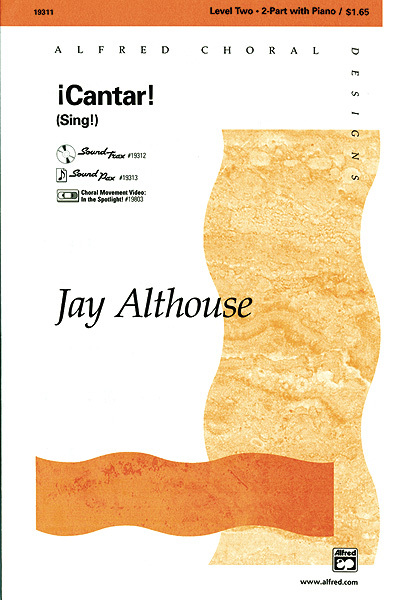 Art song phrases inspire expressive bel canto singing, and limited vocal ranges are just right for developing singers. A literal translation and phonetic pronunciation guide of the Italian is included in the publication. 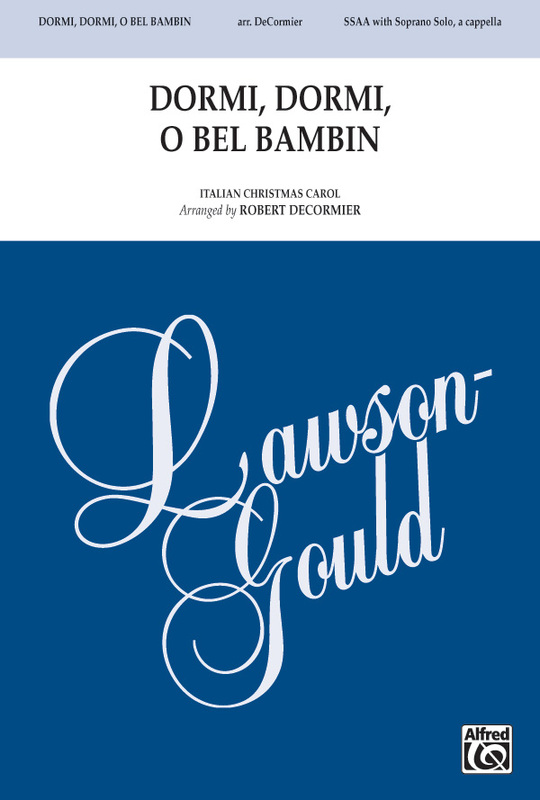 A Christmas piece with a delightful melodic dialogue and beautiful accompaniment. This very sweet Italian Christmas carol is a lullaby sung to the baby Jesus. Although it was written for the West Bradford Elementary school chorus (Dowingtown, PA), it is also suitable for treble choirs for all ages. Difficulty Level: Medium Advanced Children or Medium Easy Adult. 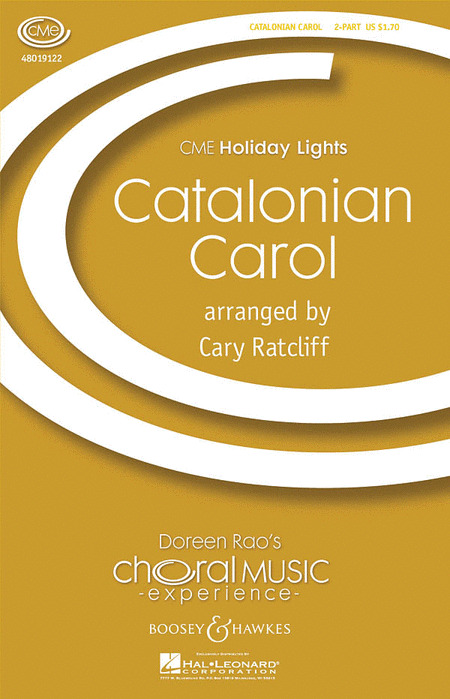 Paul Carey's stunningly beautiful arrangement of this marvelous Catalan carol will be a highlight of any holiday concert or service. Elegant, straightforward harmonies and a dazzling harp or piano accompaniment will engage singers and audience alike. 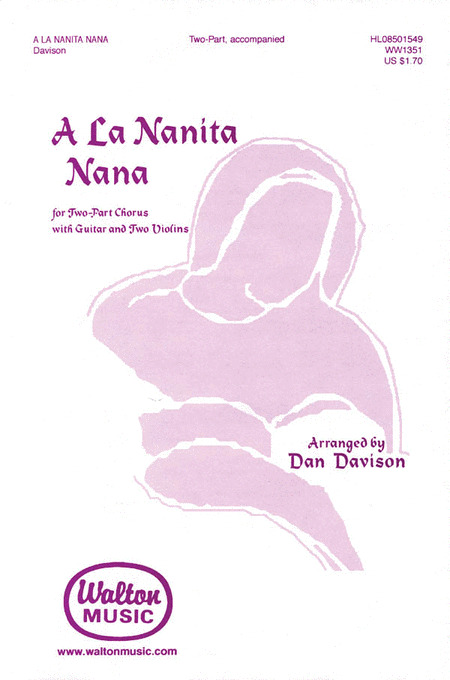 This charming and delicate Christmas number includes some Spanish phrases, and includes a pronunciation guide and translation in the publication. The perfect cross-cultural piece for your holiday concerts. 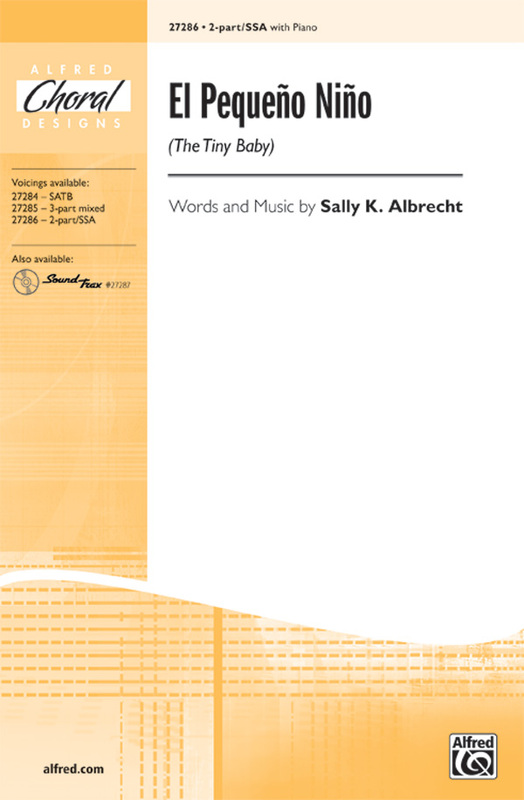 Easy, straightforward choral writing for all ages with a simple piano accompaniment. 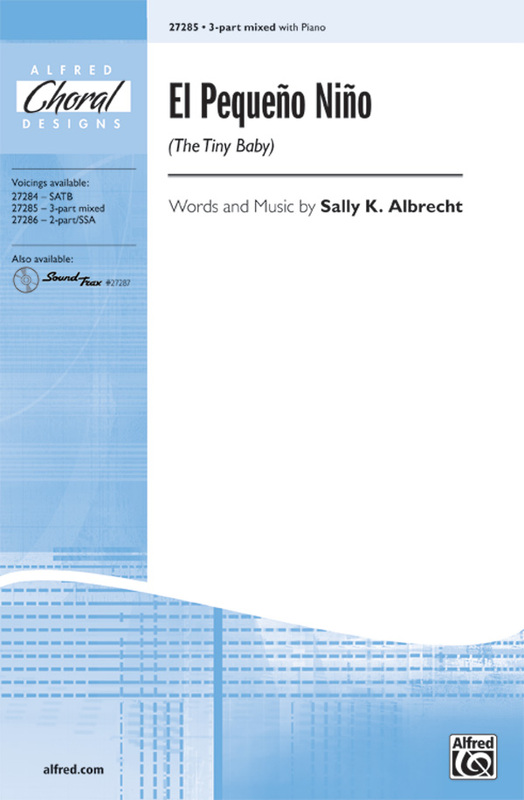 Here is the perfect arrangement for women's choirs looking for a very playful challenge. Accompanied by hand claps, this Spanish folk song culminates in a whirling ending! Sung in Spanish, with the English translation included in the music. Duration: ca. 4:00. Two short works by the well-known Basque composer evoke colorful images of the calm countryside and nature's beauty. With Spanish text and in a simple four-part setting, the music paints the impressionistic beauty. A timeless selection for high school and beyond. Duration: ca. 3:00 each. The most famous of all 15th Century Italian madrigals is brought to life in this new Russell Robinson edition from our Developing SATB Repertoire series. Both English and Italian texts are included. From the Catalan region of Spain (Barcelona) comes this lovely folk song, beautifully arranged for women's voices by Jackie O'Neill. The text, reminiscent of "Johnny Has Gone For A Soldier, " tells the story of a young lad going off to war. Simple, yet charming, FAREWELL, LAD is the perfect concert or festival choice for your SSA choir. A guitar-like piano accompaniment adds a Spanish touch. 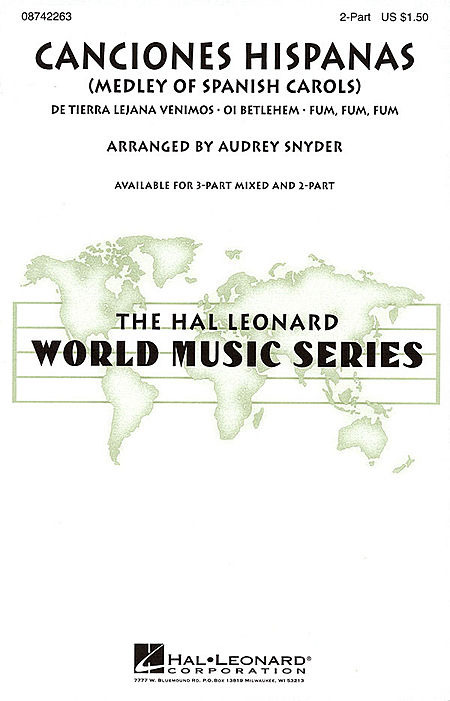 The Songs of the World Series has been perhaps the most popular series in the Pavane catalog. 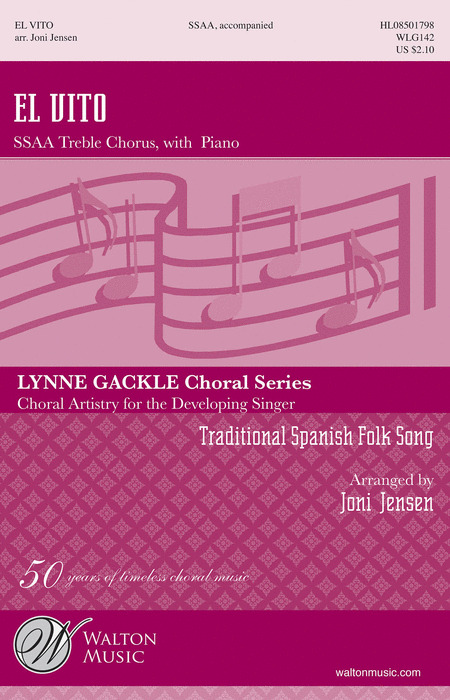 Fum, Fum, Fum, a Spanish Dance carol, is part of the series' Collection #6, which also includes the French carol, Angels We Have Heard on High, and the English carol, How Far Is It to Bethlehem? Tastefully arranged as always! For church, school or community youth choir. Available: 2-Part. Traditional Spanish carol highlights the night of Jesus' birth in joyful celebration! Light vocal style is highlighted by the placement of an "extra" quarter rest! Fresh! "Whenever Johnny dances, his fingers fill the air;" each verse of this charming Catalan game song adds another body part to the list. 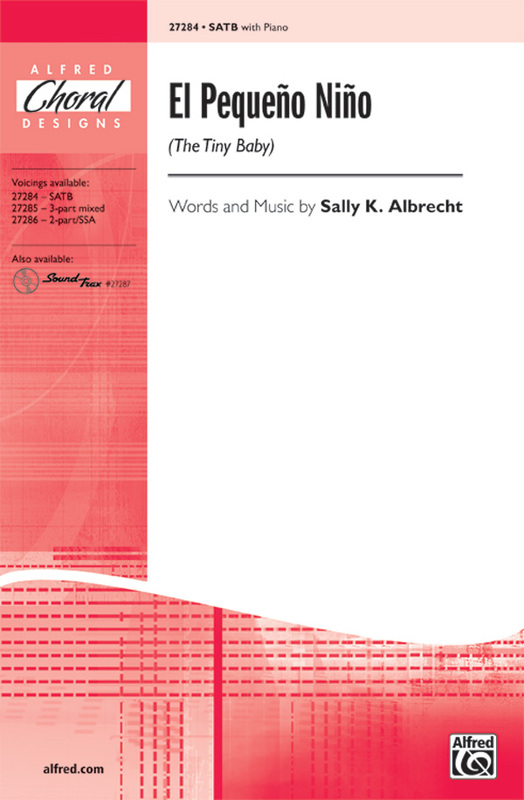 The apt arrangement develops into a playful presentation for SSA singers. 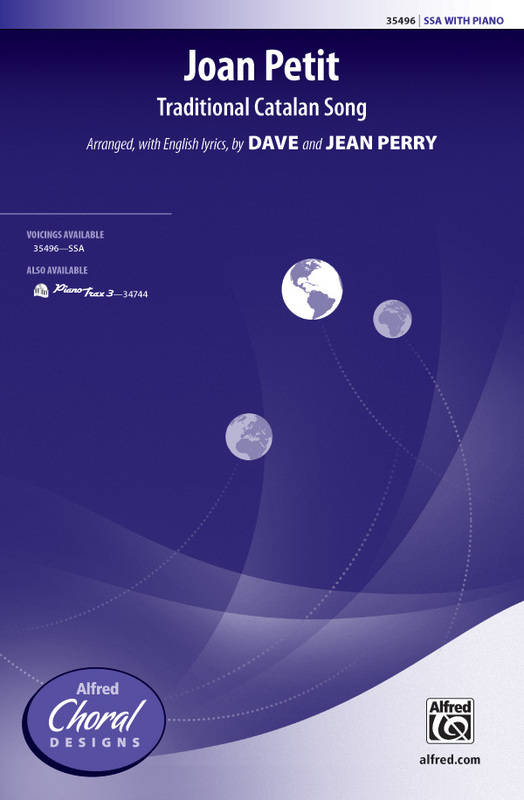 A phonetic pronunciation guide and an optional English text are included. Featured on PianoTrax 3 Accompaniment CD (00-34744). The Spanish folk tradition is a rich source of melodic and rhythmic expression. 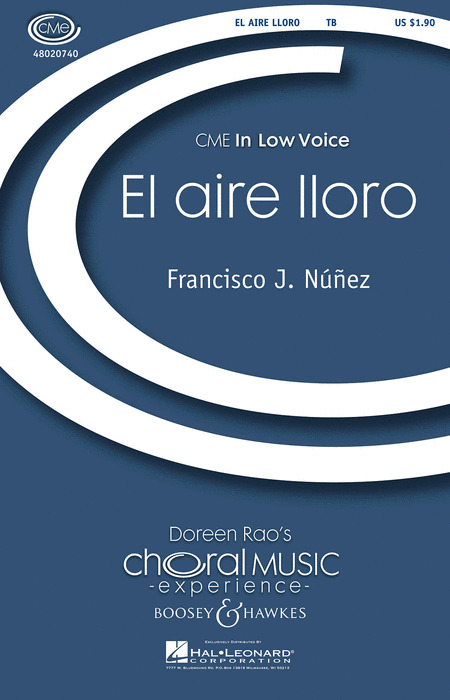 This energetic arrangement for mixed chorus with piano is successful in Spanish or English. Try it in your holiday choral concert. The exceptional accompaniment will highlight your fine pianist. Difficulty Level: Medium Adult. A great alternative for any festive Christmas celebration. This Spanish poem celebrates the wonder of the birth of Christ through the voices of farmyard animals, triumphant angels and exuberant shepherds. The three contrasting sections include a latino folk-style Gloria accompanied by drums and maracas and a simple hymn-like tune. This easy-to-sing arrangement of an Italian folk song is a simple, educationally appropriate cross-cultural work for developing choirs. Simple and uncluttered. This joyous, festive motet was published in 1612 by Lodovico Viadana, a Venetian friar and maestro di cappella. Its imitative polyphony and celebratory final Alleluia will be captivating in either a church or concert setting.